Looking for Arlington homes for sale? This section of our website gives you access to all of the properties for sale in this Northern Virginia community, as well as in-depth information about the area. View Closed Sales of Arlington Homes from the Past Month! Arlington County is one of Northern Virginia’s most popular areas to call home. It is located on the south bank of the Potomac River, directly across from Washington, D.C. Arlington homes are surrounded by a thriving economy, thanks to numerous local contractors and government agencies, along with a strong local private sector. Its strong job market gives it one of the highest median incomes in the country, along with one of the lowest unemployment rates. Arlington County is also one of the most educated communities in America – “CNN Money” reported in 2006 that 35.7% of the county’s residents had graduate degrees. The local school system is very well regarded, boasting a 92% rate of college matriculation among high school graduates. With numbers that are this good, it’s no surprise that the Arlington real estate market is one of the most robust in the region. If you’d like to compare listings of Arlington homes with properties from other areas, you can also use the search box above look for property listings in other communities. Arlington has a rich history that dates back to the 1800s. What we now know as Arlington County was originally a part of the Colony of Virginia’s Fairfax County. What is now known as Arlington National Cemetery was once a plantation estate that passed from British ownership to the wife of General Robert E. Lee. Today, Arlington has changed quite a bit from its Civil War days. It's now a bustling community with a lot of great restaurants, shops, and night spots. It’s a great place for biking and running as well. Residents can easily get to many of the metro shop areas via the Metro Orange Line corridor as well. Residents of Arlington homes enjoy a lot of local amenities. With all of its nature trails, it also makes a great place for the health conscious to enjoy exercise in some of the most luxurious and beautiful settings one can imagine. Arlington is a great choice for all types of Northern Virginia home buyers. It’s close to just about everything and most places can be reached without having a car. You do have access to zipcar though, a car sharing option that can be found dotted around Arlington. Public transportation has been well setup and thought out in this area, allowing for you to get anywhere you need to in a short space of time. If you like good food and entertainment, you can find everything from Persian to Vietnamese cuisine, with an array of price ranges to suit any budget. Nature and fitness lovers will find a large number of parks and trails for biking and walking, most of which are accessible via the Metro. Trails such as Mount Vernon, Custis and Bluemont are all very well kept. And, you can always find something happening in Arlington, from street fairs to farmers markets. Arlington homes are great options for people who want a Northern Virginia area that is just a little less crowded than Washington DC, but offers a bit more of a suburban, less hectic feel than other towns located around the nation's capital. One area, the Rosslyn-Ballston corridor, is known as an urban village, with the Metro underground connecting each area conveniently. It brings a mix of residential, office, retail and government buildings that not only supports the city of Arlington, but the suburban areas as well. The Arlington VA real estate market offers many opportunities for all kinds of working professionals, from those who are just starting out in their professional journey, to those who are looking to enhance career goals later in life. The area and the surrounding communities offer many great schools, from grade school, to high school, to university. It’s also very close to DC and its variety of great museums, such as the famous Smithsonian Museum complex. Many Arlington homes and condos are so close to DC that you can see the capital from your window, across the Potomac River. 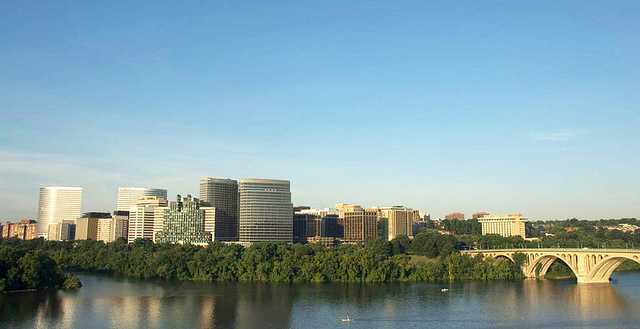 Residents of Rosslyn can walk across the Key Bridge and be in Georgetown in a matter of minutes. Arlington homes offer a place where fun and history blend together to offer adventure for residents. Many of these attractions are quite easily accessible via the Metro subway system. There are a number of parks, museums, theme parks, and historical sites that you can visit, or just enjoy a day out on the many trails and picnic areas. Some of the best areas for condos can be found in Arlington, such as Arlington Ridge, Lyon Village, Ballston-Virginia Square, Arlington East Falls, and Madison Manor to name a few. Need Something Close To Metro? If you are in need of an Arlington condo that is close to one of Arlington's Metro stations, you won't be disappointed. There are a number of mid to high rise condo options, and there are also a number of Arlington townhome options that offer 1 to 3 bedroom units, and are usually a short walk to public transportation, with some being right out your front door. There are some great Ballston condo options just blocks to the metro. You can also walk to many of the local shops and restaurants, as well as enjoy some of the great amenities this community has to offer, like its pool and BBQ area, Media room, part room, business and fitness center. There are some great Arlington homes that are located in the Clarendon area, within walking distance of local restaurants, shops, and the Metro. If you’re looking for Clarendon condos, the Clarendon 1021 is a great option – it’s located just steps away from transportation, shopping and dining. Built in 2005, this condo community offers amenities such as a common bar/lounge, meeting room, a hot tub, outdoor pool and security. If you want to enjoy the many pleasures of living in a luxury Arlington condominium community, The Waterview is perfect for you! Its floor to ceiling windows and rooftop terrace all offer extraordinary views of Georgetown, the Potomac River and many of DC's monuments. It also have 24/7 hotel and concierge services and a fitness center to enjoy. Units are open and spacious with modern fixtures and you have access to the surrounding area via public transportation, biking or walking. Or perhaps Station Square is more up your alley, with its luxury kitchen to encourage your inner chef. Do You want Something a Bit More Cozy? If you’re looking for Arlington homes for sale that are located in a smaller condo community that offers a more cozy feel, Gatehouse Condominiums is for you. It’s just 6 miles from DC and under 2 miles to 3 main Metro Stations and bus stops. You get the best of suburban and urban living here, with a quiet community that has easy access to many shopping and entertainment options, such as the Ballston Common Mall and a number of parks. Nearby Alcova Height Park offers 13 acres of picnic areas, playgrounds and sports fields for all to enjoy. Another small Arlington condominium community is Quinn Oaks, which was built in 1986 and offers townhouse styled units, all of which have been updated and renovated. Residents can enjoy private patio areas that look over beautiful woodland views, making you feel like you are miles from the hustle and bustle of city living. Don't let the quiet location fool you though! You still have easy access to many shops and grocery options, as well as access to transportation just outside your door. If you are looking for Arlington homes or condos for sale, we can help you find the condominium community that is best for your needs and budget. No matter where you choose to live in this area, you will find you have access to many of the area’s amenities and means of transportation. Not only are Arlington homes great options for people looking to set down roots for the long term - this is also a great place for those seeking to develop their career choices, and college students who are looking for work experience and a bit of the Arlington nightlife as they go through their courses. For business oriented individuals, this area makes a great place for entertaining guest and business associates with its many high rise condominium communities offering business facilities and dining as amenities. Residents of Arlington homes can host relatives and friends who come to visit with the many nearby attractions as well. If you’d like to check out some properties in person, call me on my cell phone at 703-462-0700 so I can help you in your search. 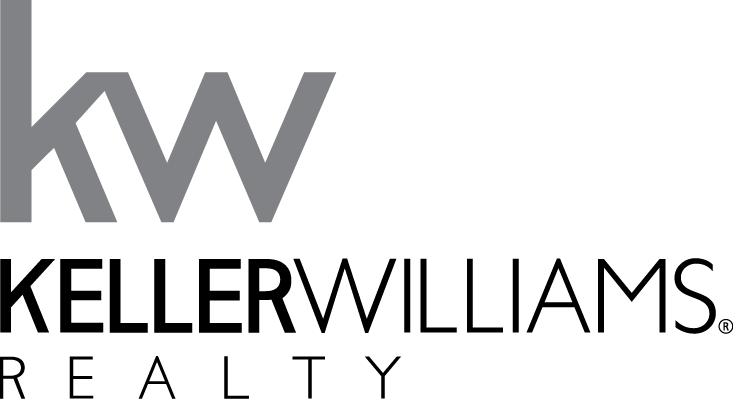 I’m an experienced real estate agent who grew up in neighboring Falls Church City and has in-depth knowledge of the Arlington VA real estate market. If you own an Arlington home and would like to get an idea of how much it’s worth in the current market, contact me so I can provide you with a comparative market analysis. This will help you decide if it’s a good time for you to sell.